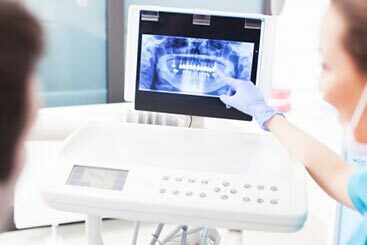 Inlays and onlays are two types of dental restoration services that can be used to replace damaged parts of a decayed tooth in order to prevent you from having to undergo a tooth extraction. Dental inlays and onlays essentially represent the same type of tooth restoration, yet with one differentiation: an onlay covers or recreates the tooth’s cusp (the natural protrusions at the corners of your teeth), while the inlay fits in between the teeth’s cusps to reinforce the area and help prevent further decay. Durability – Inlays and onlays tend to withstand the wear and tear that teeth are subjected to better than traditional fillings, resulting in fewer visits to our dental clinic due to chipped or cracked fillings. Protection – Inlays and onlays traditionally offer better protection against recurrent tooth decay than traditional “fillings” do, which is a result of their ability to form closer lines of contact between the dental restoration and the natural tooth (i.e. it forms a better seal). At Constitution Dental in Downtown Ottawa, we do everything in our power to save decaying teeth so patients don’t have to undergo tooth extractions, which would require replacement with a dental implant, dental bridges, partial dentures, or any other additional procedure. Our dentists and dental hygienists believe that nothing is better than having healthy, natural teeth, which is why we offer a range of restorative dentistry procedures at our Downtown Ottawa dental clinic. These include inlays and onlays, dental crowns, dental bridges, and partial and complete dentures, which are all viable alternatives to tooth extraction if the decayed tooth still has the potential to be saved. Curious about dental inlays and onlays as an alternative to traditional tooth fillings? Contact us today to learn more, or request an appointment online at Constitution Dental in Downtown Ottawa. We look forward to seeing you and restoring your natural teeth for a beautiful smile!